PM120 is a very compact gateway, offering the most basic features for optical to electrical conversion. It is a new series of fiber termination units for PBN FTTH CPE product line. 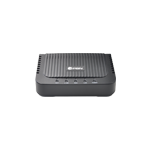 It is possible to separate the gateway location from the router location, which allows flexibility of WiFi, VoIP, IPTV and etc. 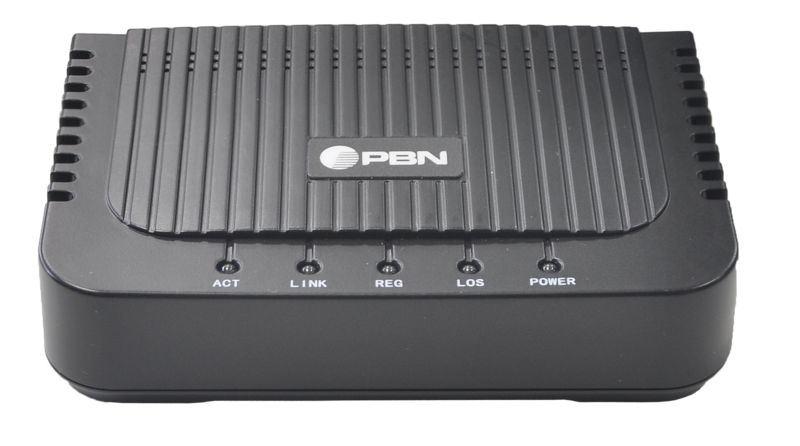 PM120 enables RJ45 and RF/CATV output (optional). Very simple installation and connection. 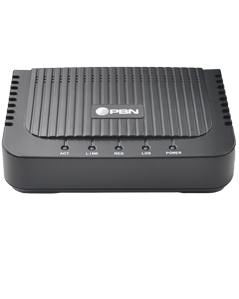 PM120 is based on Gigabit EPON technology, layer 2 Ethernet switch, which is highly reliable and easy to maintain, support QoS. Fully compliant to technical regulations IEEE802.3ah. Support rich QinQ VLAN function and IGMP Snooping multicast feature. PON port and 1 Giga-Ethernet port. (1) Measured with PBN LTM15 test transmitter over 5 km fiber, set for -5 dBm optical input at 1550 nm with 4 % OMI. * Standard lead time for CATV version: 16 weeks. PM120-TV-S-EU 1GE EPON ONU, One-port, with CATV, SC/APC connector, Power Adapter for Europe (not for use in UK/CH). PM120-00-P-AU 1GE EPON ONU, One-port, without CATV, SC/PC connector, Power Adapter for Australia. ** The MOQ (minimum order quantity) is 2,000 pcs.